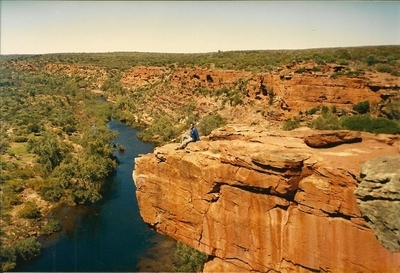 Kalbarri is a favourite holiday destination. It is blessed with stunning coastline, rugged gorges and protected swimming bays. The weather is sunny and warm all year round. It takes about 7 hours to drive from Perth or eight and a half hours by Transwa coach from East Perth terminal. 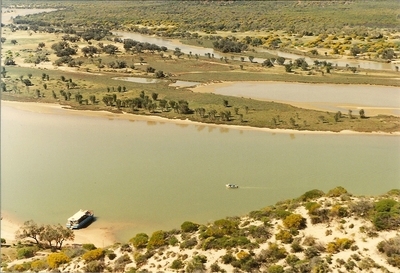 The town is at the mouth of the Murchison River and relies on tourism and sea fishing. 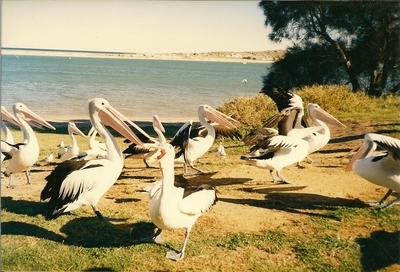 You can watch the daily feeding of local pelicans in town. 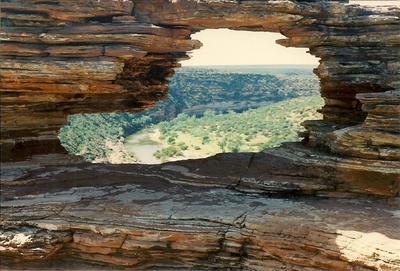 Just a few kilometres out of Kalbarri is Kalbarri National Park. Within this park you can explore strange rock formations, go walking or paddling down the river gorges and admire the rich flora in season. 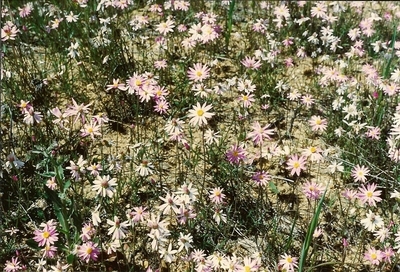 From July to October the area is rich in wildflowers covering the sandplains. There are special wildflower tours in season. 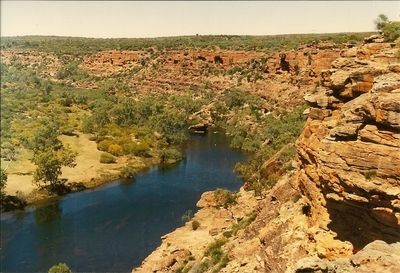 Several lookouts offer different views of the gorges. The most popular ones being the The Loop, Z Bend and Hawks Head and Ross Graham lookouts. The Loop is the most popular site, bringing you to Natures Window. This is a natural rock arch framing the river below and is a fantastic photo opportunity for all. Here is a 8km loop walk trail beginning and ending at Natures Window. The Z bend offers the most breathtaking views being only 500 metres from the car park. You look straight down to the river below, while Hawks Head is a great picnic spot and has a wheelchair accessible path. Ross Graham is the easiest access point with the walking trail leading you to a shaded and tranquil rivers edge. Kalbarri Visitors Centre. You can cruise up the Murchison River and climb up a hill to get a great view of the river mud flats. During the WA school holidays accommodation in Kalbarri can be booked out early so plan ahead. You may be lucky enough to spot Humpback whales, from the coastal gorges, between June and November during their annual migration. Best TV series to rewatch?